From the renowned nightclubs to the warm Caribbean waters ripe for swimming, Miami’s sultry attractions bring in visitors from around the world. Soak in delicious Cuban culture and cuisine in “Little Havana”, enjoy the city’s fine resorts, and if you yearn for adventure, consider going boating out on the stunning turquoise waters. The Bahamas and Key West are a day trip away or stay put and just try free yoga on the beach. There are plenty of world-class art museums to keep restless travelers busy. Enjoy a culinary and cultural experience in Miamiâ€™s Little Havana neighborhood. Following your guide, walk to six local eateries and sample traditional Cuban dishes including guava pastries and chicken plantain cups. You'll also meet local artists, watch cigar rollers, and listen to traditional Cuban music during your 2-hour walking tour. You'll leave with a full belly and a ton of knowledge about Little Havanaâ€™s history, culture and Cuban cuisine. Meet your guide at the starting point in the afternoon to begin your walking tour of Little Havana. As you follow your guide through this bustling neighborhood -- noted as the center of social, cultural and political activity in Miami -- youâ€™ll notice the distinct Cuban atmosphere, as many Cuban immigrants live here. Your guide will take you to six local family-owned restaurants and cafes in the must-visit Calle Ocho area and give you an overview of the neighborhoodâ€™s traditional, rustic Cuban cuisine. Sample Cuban favorites such as homemade mamey and flan ice cream, chicken- and picadillo-stuffed plantain cups, guava pastelito (pastry), coffee, guarapo juice and mariquitas (plantain chips) or malanga frita -- similar to the taro root but sweeter, malanga is fried like a potato chip. Many of these dishes are prepared from family recipes that have been passed down through many generations. All tastings are included and sum up to a large, full lunch. Not only will you try this neighborhoodâ€™s cuisine, but youâ€™ll also get a taste of some local culture. Meet artists in their studios, listen to traditional Cuban music, watch cigar rollers, take a peek at Domino Park, and learn about the communityâ€™s spiritual beliefs and practices. Travel from Miami to Grand Bahama Island for a day trip to a Caribbean paradise! After pickup from your Miami hotel, board a ferry for a 2.5-hour cruise to the Bahamas. Once you arrive on the island, spend five hours enjoying the gorgeous beaches and turquoise water. Rent a Jet Ski and snorkel gear, or simply relax on the beach. You can also look for the perfect gift at the duty-free shops, and test out lady luck at the casino. Early in the morning, your driver picks you up from your Miami hotel and takes you to the Port of Miami where you board a speedy ferry bound for Grand Bahama. During the 2.5-hour ferry ride, enjoy amenities including a full bar, a snack bar, a duty-free shop, slot machines, outdoor deck, restrooms and enough seating for all 240 passengers. Be sure to bring your passport! When you arrive at the island, make your own way to the beach, which is located four miles (6.5km) from the port. You can book a beach-shuttle on board the ferry, or take a taxi from the port. Once you arrive at the beach, you can find shops that rent equipment for a variety of water sports such as parasailing and snorkeling. If you want to just chill out, claim a spot on the sand and soak up the sun and sea! Soak up the tropical beauty of Grand Bahama Island for five hours before departing on the return ferry in the afternoon. 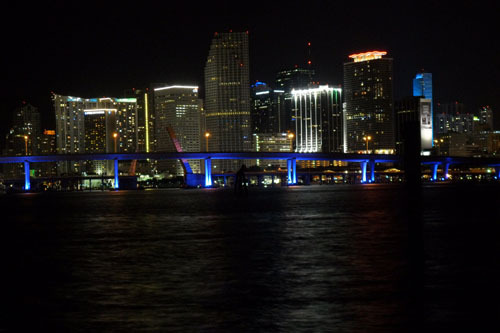 Your tour ends when you are returned to the Port of Miami and driven to your Miami hotel in the evening. Please note: Passports are mandatory for the Bahamas, your trip will not be guaranteed if you do not have a valid passport. You must provide the following at the time of booking: hotel location, all traveler names, nationalities, passport numbers, dates of birth and expiration date of passports. This ninety-minute walking tour provides an introduction to the Art Deco, Mediterranean Revival, and Miami Modern (MiMo) styles found within the Miami Beach Architectural Historic District. You explore hotels, restaurants, and other commercial structures with a visit to a number of interiors. The tour guides are volunteers who are very knowledgeable about the history of the area and this style of architecture. Getting this historical perspective makes all the difference in your appreciation of Miami Beach. The most interesting part to many is the "who ate here" and "who stayed here" part of the tour. Bring a hat and water during the summer season. Tours are organized by the Miami Design Preservation League (MDPL), a non-profit organization devoted to preserving, protecting, and promoting the cultural, social, economic, environmental and architectural integrity of the Miami Beach Architectural Historic District. The Miami Beach Architectural Historic District (popularly known as the “Art Deco District”) was listed on the National Register of Historic Places in 1979. It was the nation’s first 20th century Historic District. Also a tour at 6:30p.m on Thursdays. Street parking is scarce, try one of the parking garages nearby. Departing from Bayside Marketplace downtown, near the American Airlines Arena, boat tours offer the option of experiencing Miami on the water. There are plenty of tour boats that cruise the waters off the city. The Heritage Miami II (only available to groups) is the only tall ship and the only touring sailing vessel in the city. Tours take visitors past Vizcaya, Coconut Grove, Key Biscayne and offers spectacular views of the Miami skyline. This mansion, a National Historic Landmark was completed in 1902 at the height of the Gilded Age. Its palatial size rooms and decor are a testimony to extravagance. If you have visited the mansions of Newport R.I., Whitehall will seem similar- although you see more of the behind the scenes lives of old wealth. Make time for the docent's tour, and hear wonderful personal pieces about life at Whitehall. The people at the museum love what they do, and really enjoy answering questions. Be sure to take time to go over the railroad car that is housed in an adjoining building. 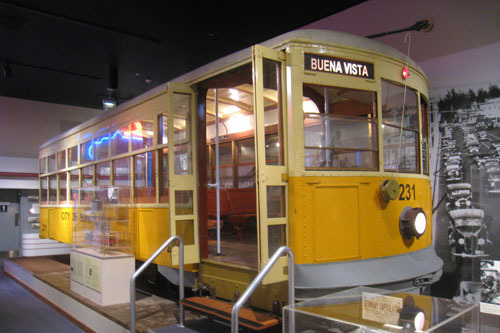 You can walk through the car, and see how the Flagler family traveled to Palm Beach. Also, just the view of Lake Worth makes visiting that building a must. The Pavilion Café serves a fixed-menu fixed-price Gilded Age Style lunch daily for $33.00. The price includes tax and tip. Southern Florida has a fascinating history, as it is this tip of the continent that today is represented by people and cultures from all around the world, but especially from around the Caribbean. Native Americans, of course, once inhabited much of Florida as well, and their presence is deeply felt here at the museum. The exhibitions rotate periodically and cover thousands of years of the history of the region in this huge space of some 40,000 square feet. Among the artifacts are a lighthouse lens, refugee rafts, a 1920s trolley car, gold and silver recovered from seventeenth and eighteenth century shipwrecks and relics from Pan American Airways. 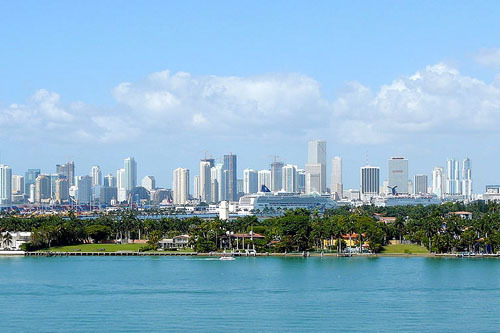 The focus is adaptation of people to the unique climate and cross cultural influences that led to Miami being the crossroads of the Americas. There are some very good hands-on exhibits for the kids. It's definitely a bit of a break from the rest of South Beach's glitz, and history obsessives will fit right in. Parking discounts with a validated ticket at Miami-Dade Cultural Center Parking Garage, 50 NW 2nd Ave. By metrorail, exit at Government Station Center. 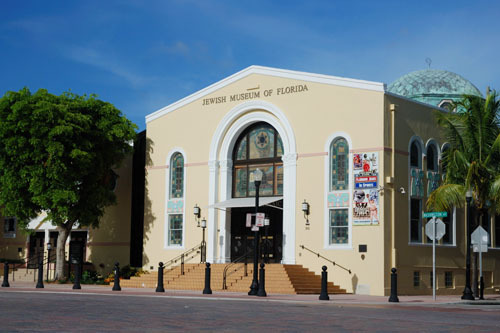 The Jewish Museum of Florida traces more than 240 years of Jewish life in South Florida. Built in a former Orthodox synagogue, the museum showcases the life and culture of the Miami Jewish community, not through broad strokes, but through personal accounts. The museum uses family photographs and heirlooms in the exhibit MOSAIC: Jewish Life in Florida. It also explores the prejudice and anti-Semitism the community faced throughout its history, including how the city of Miami Beach continually denied permission to build a synagogue in their city, forcing the community to make regular trips, on foot, to Miami. Along with the collection, the building itself is also remarkable. 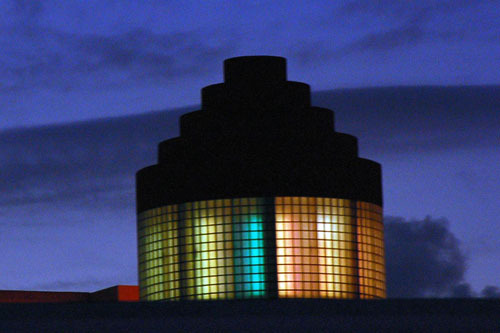 Built in 1936, there are 80 stained glass windows providing colorful, natural light to enter. Also notice the slanted floor, purposely built to improve the acoustics. Miami Dade Transit operates the Airport Flyer (Bus 150) direct to Miami Beach. The bus makes limited stops between the airport and Miami Beach. Take the 150 to Indian Creek Drive and 41st Street. Transfer to the 120 towards Beach Max to Downtown Miami, getting off at Washington Ave and 5th Street. Walk a few blocks to 3rd Street. The Museum is on the corner of 3rd and Washington. Drivers should get on the FL 836 Dolphin Expressway towards I-395 and I-95. The highway becomes I-395 then becomes SR A1A as it crosses the bay. Turn right on Washington and the Museum is at 3rd Street. There is limited street parking near the museum. Parking meters are in efect from 9 AM to 3 AM. Unless you are an overnight guest, hotels are rarely tourist attractions. 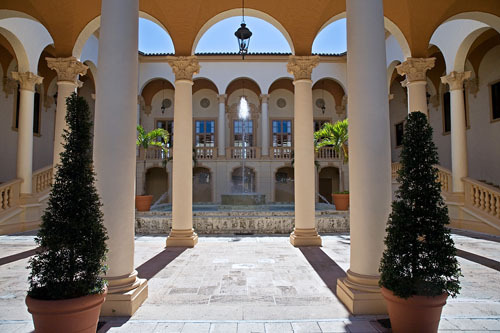 But visitors to Coral Gables or South Florida should not go home without stepping foot in the Biltmore Hotel. Flush with old world elegance, the Biltmore was George Merrick’s exclamation point while developing Coral Gables. Stepping into the awe inspiring lobby, with its high fluted columns, song birds in antique cages and old world charm, it feels more like a museum than a hotel lobby. During its golden days, the hotel welcomed celebrities such as Bing Crosby, Judy Garland and Al Capone. During World War II, the government took over the building, transforming into a soldiers hospital. It stayed a hospital until the government abandoned it in 1960, then it sat empty. Preservation efforts saved it from the wrecking ball and after a multi-million dollar renovation, it reopened in 1992. Visitors can enjoy old world hospitality without spending the night. The hotel's golf courses are open to the public. The restaurants on site cater to overnighters and those just popping in for a look. On Sundays, the Biltmore offers a guided tour of the hotel, showing parts that are usually off limits to non-guests. Leaving the Airport, drivers should head south on NW 57th street. This will head directly into Coral Gables. In town, turn onto Coral Avenue. Turn right onto Alhambra Circle, then a left onto Sevilla Ave. The hotel will be visible as you approach it. There is no diret bus to the Biltmore Hotel, though the 57 Bus To US 1 and 152nd Street will drop you off at the corner of Red Rd and Sevilla Ave. The Hotel is a 3/4 mile walk from the bus stop. Taxis will provide service to the Biltmore, expecially because they know they can pick up a fare at the hotel. The trip should cost about $22. The South Florida landscape does not lack shopping malls. Same old designs with the same old stores are a staple in the Miami metro area. While still a mall, CocoWalk is thankfully not of the same ilk. This is an outdoor mall designed with a Mediterranean flair. 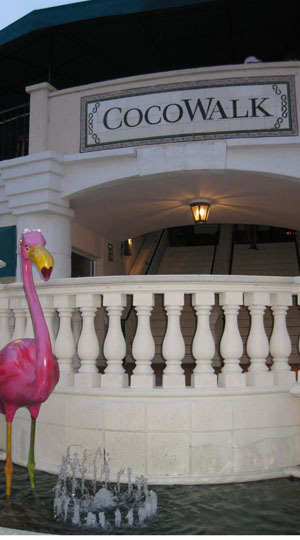 Also, it is located near downtown Coconut Grove, as opposed to an enclosed mall on the outskirts of a suburb. CocoWalk is also smaller and more manageable than the larger retail centers. National Chains such as The Gap, Victoria Secret, The Cheesecake Factor and the required Starbucks take up residence here. There is little in the way of local businesses, though one of the more popular is CocoWok, an Asian fast food and take out restaurant. Drivers from the airport should get on FL 953 Le Jeune Rd towards Coral Gables. In about a mile and a half, turn left on FL 90 / US 41 / SW 8th Street. In a mile, turn right on SW 32nd Ave. After 2 1/2 miles, turn left on Grand Ave. CocoWalk is on the left. Parking is an issue at CocoWalk as there are limited on site and on street spots. The 42 bus towards from the airport Douglas Road Station drops passangers off less than a mile from CocoWalk. Get off at SW 40th Street and SW 37 Ave. Go east on SW 40th Street, turn right on SW 37th Ave / S Douglas Rd and turn left on Grand Ave. Taxi drivers should know the way to CocoWalk. The fare is about $22. Vizcaya is a National Historic Landmark; it's also a museum owned by Miami-Dade County and accredited by the American Association of Museums. This spectacular mansion was built by agricultural industrialist James Deering on the shores of beautiful Biscayne Bay in 1916. 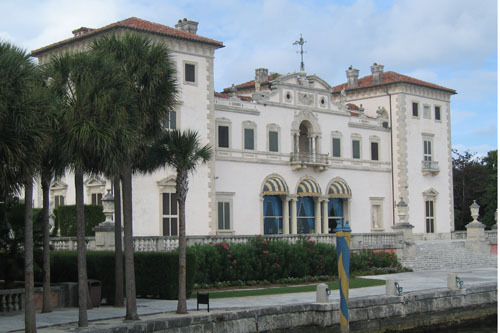 Vizcaya is a stunningly beautiful Italian renaissance retreat in the heart of Miami. 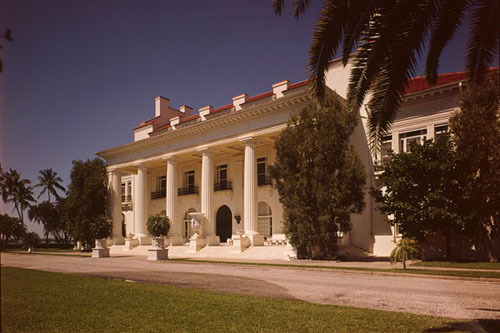 In 1952, Deering’s heirs generously conveyed the main house, the estate's substantial furnishings and art and the formal gardens to Dade County, on condition that Vizcaya be used as a public museum in perpetuity. Vizcaya Museum & Gardens features a main house, which was intended to appear as an Italian estate that had stood for 400 years, an expansive 10 acres of gardens combining elements of Renaissance Italian and French designs, a hardwood hammock, and soon-to-be-restored historic village. 8 miles from Miami International Airport. Taxi US$ 22.00. Super Shuttle US$ 8.00. Take 836 east and exit onto I-95 south. Follow I-95 south to Exit 1A. Turn right onto South Miami Avenue. Turn left at 3rd light into Vizcaya. Price: 5 $ (5.00 USD) Suggested donation. There is nothing like being on the beach and greeting the sunrise. If you come to South Beach near 3rd Street, not only can you greet the sunrise, but get some exercise and meet new friends. For over 10 years, certified yoga instructors have held sessions on the sands with anyone and everyone who wishes to attend. Regardless of experience, age and abilities, everyone is welcome to join. Classes are held year round, except for Christmas Day and New Years Eve. Only truly inclement weather will cause cancellation. A drizzle or a short, sudden rain will not cancel the session. Yoga at 3rd Street is held at the lifeguard station. For those who would rather sleep in, there is a sunset class in the same location at 6 PM (5PM in winter). This is a great way to start the day and feel refreshed and re-energized through your daily sightseeing. Yoga is held on the sands on South Beach at 3rd Avenue, near the lifeguard station. Miami Dade Transit operates the Airport Flyer (Bus 150) direct to Miami Beach. But the bus does not leave early enough to catch the morning yoga class. There is a bus for the sunset class. The bus makes limited stops between the airport and Miami Beach. Take the 150 to Indian Creek Drive and 41st Street. Transfer to the 120 towards Beach Max to Downtown Miami, getting off at Washington Ave and 5th Street. Walk a few blocks to 3rd Street. The Museum is on the corner of 3rd and Washington. Drivers should get on the FL 836 Dolphin Expressway towards I-395 and I-95. The highway becomes I-395 then becomes SR A1A as it crosses the bay. Turn right on Washington and left on 3rd Street. There is limited street parking near the beach, though, for the sunrise session, there should be spots available. Meters are in effect from 9 AM to 3 AM, allowing you to pack up and leave before the ticket agents arrive.